Sometimes it can be hard to know where to start with personal development. Should you try to eliminate your weaknesses? Focus on your strengths and build them up even further? Do something completely new? You may by now be in a state of ‘analysis paralysis’ and not at all sure what do to next. 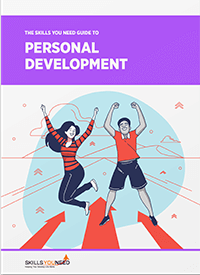 This page brings together tips on personal development, to help you to get started, and then keep going, by focusing on what matters. 1. Why are You Trying to Develop? It is important to understand why you are trying to develop. The answers to all the questions about ‘what’ and ‘where’ (what should I do? Should I address my weaknesses, or build my strengths? Where should I begin?) all become clearer once you identify why you want to change. Learning in and of itself can be interesting and fun, but many of us want to develop and improve for a specific purpose. It is important to be clear about this purpose, so that you can assess whether your learning and development activities are moving you closer to your goals. It is also easier to get motivated when you have a clear picture of where you want to be at the end of the process. Our pages on Developing Your Personal Vision and Refining and Narrowing Your Vision will help you to be clearer about what you want to achieve and why. Planning your personal development (and documenting your plan) will help to make it more realistic. There is more about this on our page: Planning Your Personal Development. Writing down your plans and activities enables you to review your progress. There is more about this in our page on Recording Personal Development and Achievements. 4. What Works for You? It is important to find out what personal development methods work best for you. There are an enormous range of development activities available, from formal training sessions, through online training to experiential learning, reading and discussing ideas with others. As with anything, it is important to find out what works best for you—as in, what you enjoy most and also what helps you to learn and develop quickly and effectively. You can find out more about some of the techniques and tools available on our pages: Improving – Some Specific Techniques, and Personal SWOT Analysis. By documenting your experience, including feedback from other people about your progress, you can also assess the relative effectiveness of different types of learning. What is really important in your personal development? Do not be afraid to take opportunities that you had not considered before. Not everything in life, or personal development, is predictable. Sometimes you may be offered an amazing opportunity to do something that does not fit with your immediate priorities, but which sounds too good to miss. It is worth considering whether taking this opportunity will slow down your progress towards your ultimate goal and, if so, whether that matters. It is not worth turning something down simply because you have never thought of doing it, and therefore it does not feature in your ‘life plans’. Ultimately, being offered this kind of opportunity probably helps you to define your goals better: if it sounds very exciting and you really want to do it, then do. If it changes your goal and vision, so be it. Our biggest regrets are not for the things we have done but for the things we haven't done. Few, if any, of us would say that we were exactly the same person at 35 that we were at 15, or even 25. As you grow and change, taking on new responsibilities in work or at home, so your priorities and goals will change. The key is to recognise that this is fine. What matters is to ensure that your personal development activities continue to take you where you want to go. Regular review and revision of your personal development activities and plans will ensure that they change with your priorities, and remain relevant. There is more about this on our page, Reviewing and Revising Your Personal Development Plan.